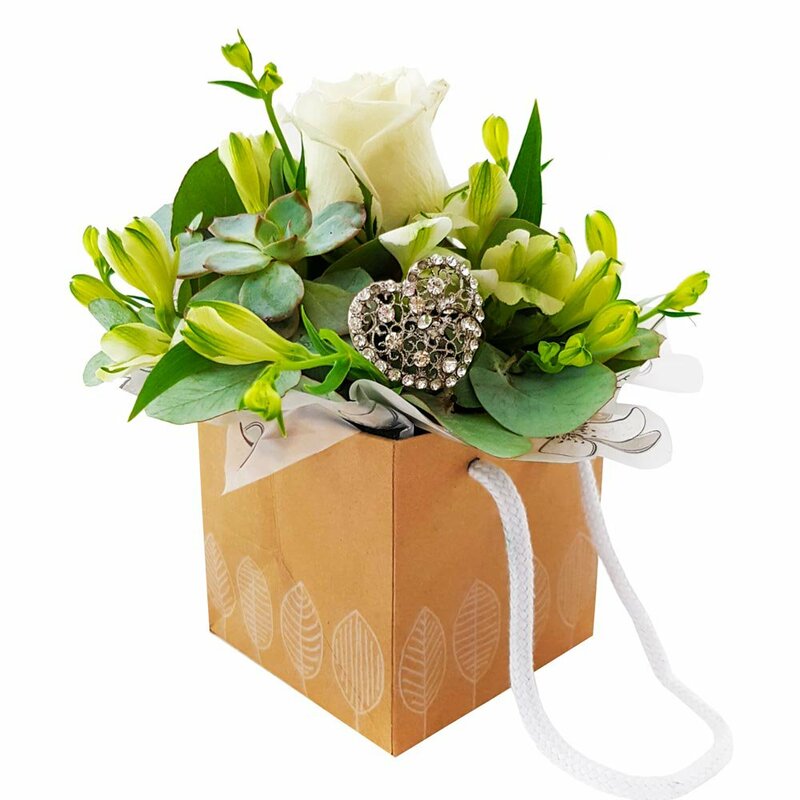 Send a sentiment of your affection with this beautiful little surprise. Delivered same day when you order before 2pm.Please note: the gift bag style may vary from the one pictured. The florist may substitute individual flowers at their discretion.